Manufacturers of standard and specialist joinery projects throughout the South West, Wales and the whole of the UK. he would make many things for me including a fishing box of which I still have today. It is down to his influence of which led my interest and inspiration to become a Joiner. I left school in 1990 and went straight into Wood Work and into a 3 year City and Guilds apprenticeship in Purpose Made Joinery with R.J Ward Joinery of Lydney, gaining my level two and then later level 3 City and Guilds of Advanced Craft. I remained at R.J Ward Joinery for 17 years where my knowledge and experience of manufacturing a wide range of timber products grew. In 2006 aged 32 I felt like a new challenge. Working out of my Van I started off fitting kitchens and doing high end site Installations which took me around the country, missing the workshop life some what, in the summer of 2008, I had a chance opportunity to move into Workshop in Blakeney. I started on my own and with already a good client base which I had built over the few years, my business started to grow and grow. After a year or so I had to take on extra labour to help with the increase in workload. I knew I couldn’t manage on my own and also knew I couldn’t just get anyone in to help, a friend Paul who I had worked with previously approached me and the theme continued. Business continued to grow through the recession and 2013 saw the addition of my wife Joanne part time as the book keeper and a further addition of another full time joiner Nigel. Later in 2014 we took on a apprentice Sam. It soon became apparent that we had out grown our old workshop, in late 2014 we moved to a larger and more modern unit in Lydney which we set up to suit our requirements with improved facilities for our manufacturing capabilities. We have worked hard to get this far, and will continue to by meeting the need of our customers and manufacturing to a high standard of both workmanship and design. If you ever have or do work with us. It will soon become apparent Joinery is our passion and in our blood, and as now Director of this company, I still do manage to get “on the tools” and I still use some of my Grandad George’s planes today! We only work with the very best, and are proud of our partners who work with us to deliver the best in bespoke joinery. We are proud to be excepted as a member of the British Woodworking Federation or BWF. To be a member of The BWF it is not just a case of sending off a annual subscription and gaining a few stickers as with some other organisations, the BWF offers protection for both the Joinery Manufacturer and you the customer. New members are expected to be strictly audited against an eight point assessment and comply in all areas within a twelve month period of application at which time being entitled to display their BWF logo. With using only the best methods of construction some new, some which have been used in the industry for hundreds of years. Using timbers like ACCOYA, advance coatings by Teknos and modern adhesives only to a D4 extra strength standard. All which have been tested to handle the extreme of our external conditions. You can rest assured ALL our external joinery products not only look wonderful but they will also stand the test of time. 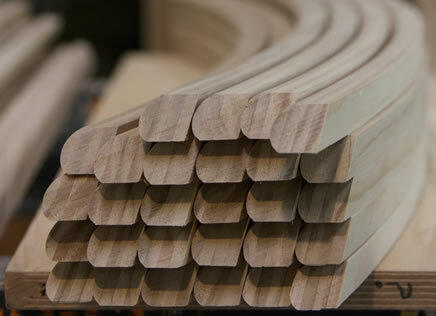 We have taken the time and effort to work closely with some of the industries leading manufactures, British Standards and the British Woodworking Federation in making sure we are at the forefront of our industry. Please take the time to look under the Products heading and see the Finishing page and our other external joinery pages. All materials used on our products are of the same high standard as our workmanship and all our Timbers are responsibly sourced/ legally verified, in our paint shop we only use low VOC (volatile organic compound) products. Not only will our products be of excellent quality and last a lifetime, they will also be ethically sourced and environmentally sound. Our surplus materials are disposed of through certified sources, all of which have a full paperwork trail.